Over here in Cambodia, we don’t have too many whales. Actually have we have none of the ocean variety but quite a few of the land variety – mostly found in bars like Rubies and The FCC. 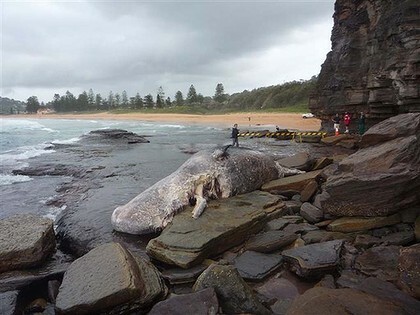 Back in Australia however, there are quite a few that pass up and down the coast and I just read today that one has washed up on the rocks quite near to my sister Sarah’s house in the Northern Beaches of Sydney. They are trying to figure out what to do with it .